Based in Harare, Zimbabwe, T1 Wema1 is out to simultaneously inform and entertain with story-filled lyrics laced with quirky metaphors. 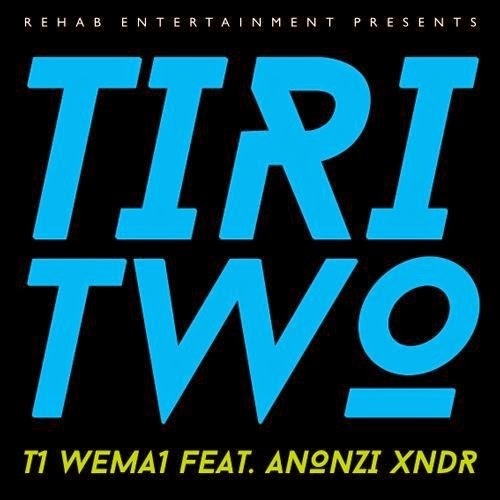 Recently signed to Rehab, he has released his electric hip-hop debut single called Tiri Two, featuring prominent and controversial Rehab Head Honcho Anonzi Xndr (Nice Bhachi) on the hook and production. Tiri Two is about a guy and his significant other having a night out on the town without their crews (i.e. friends) - just the two of them. The guy goes on to smoothly describe their night out, from their grand entrance into the club, the lively vibe on the dance floor and all the interesting and envious characters they meet in the club. Tiri Two is the first of a series of singles T1 Wema1 plans to release before commencing work on a full-scale album.